Maltese educators’ own identity and the implications of their visions and positions on social diversity on their teaching and administrative practices in schools was the subject of research conducted by Louise Chircop, who recently graduated with a PhD in Education from the University of Malta’s Euro-Mediterranean Centre for Educational Research. 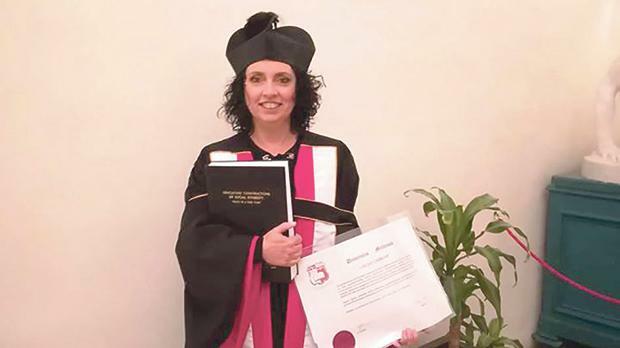 In her thesis, titled ‘Educators’ constructions of social diversity: Malta as a case study’, Chircop applied a social constructionist perspective to explore the relatively uncharted area of how educators mediate social change. She argued that educators’ practices in schools and in classrooms cannot be separated from their visions of society, their positions towards it and from their own identity constructions. She added that their constructions of, and attitudes towards social diversity should be understood in relation to the context in which teachers live and work, and in which they have been socialised and nurtured. Dr Chircop is an ethics support teacher at the Education Ministry and teaches student teachers at the University of Malta’s Faculty of Education. She is an associate fellow of the Euro-Mediterranean Centre for Educational Research. Her studies were supported by a scholarship under the Malta Government Scholarship Scheme (MGSS).